Hindang Falls is approximately 20km from the city proper and is accessible through Brgy. Hindang. As we set off our Hindang Adventure our second itinerary was the Hindang Falls, and I was eager to get my feet wet and check out the falls. I was not disappointed. Not one bit. The trail going to Hindang Falls is better than Tinago Falls. It was short with a 7-10mins trek and manageable trail. 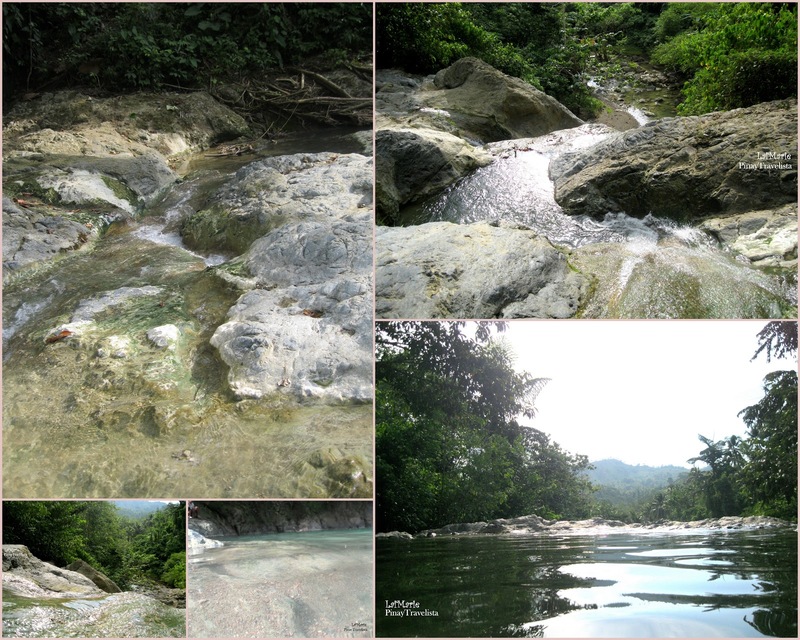 It also brings in a surprise factor as the trail weaves it’s way to a secluded part of the mountain and takes you to a small opening where Hindang Falls calmly sits. You can tell that not many visits Hindang Falls since the trail is covered with grass and we had to trust our guides to get us there. There are parts of the trail that was eroded, grasses have over taken the trail and gives you a difficulty in finding sturdy footing. 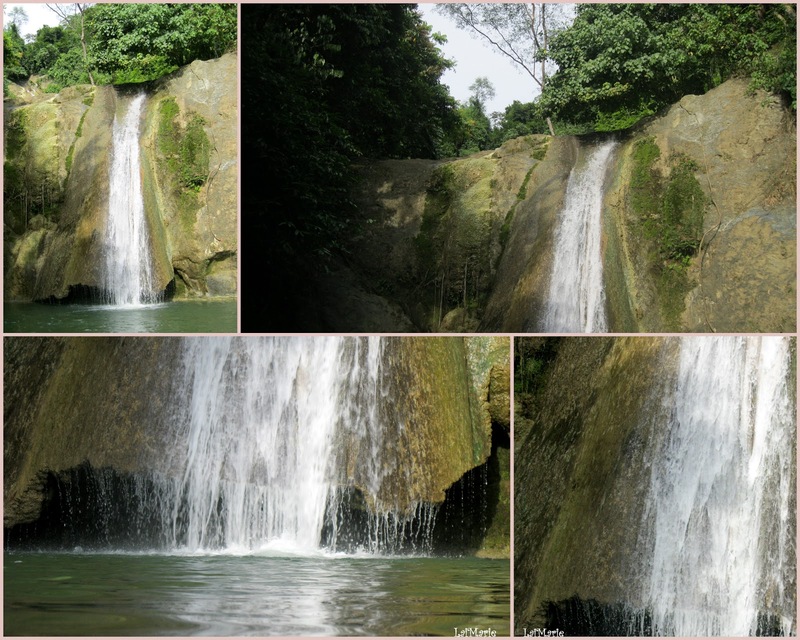 Hindang Falls is actually a 2-tiered waterfalls, with a total water drop of 40ft. This is the second water drop as the first one is not accessible. It has lagoon with calm and cold water which is ideal for swimming. And I couldn’t wait to take a dip. And yes! — I was the first one in the water, ofcourse! LOL! The lagoon is small and it is about 4ft deep when I am 5-7m away from the falls. I would have loved to swim towards it but I didn’t trust my legs for a good swim after the trek we did to Hindang Cave. So, I was satisfied to test-try the Hindang Falls water for you guys in the enclosed area that is calming, quite and be lost in trance at. You can see that the falls is a massive piece of rock with a smooth surface and somehow, the water manages to flow on a protruding curved part of it. This feature is what sets it apart from the waterfalls I’ve been to. The water trickles it’s way down the water basin just enough to cause ripples on the water surface in the lagoon. Following the water, it tips off at the point where it drops of to large rock boulders below. You get to stare off into a view of the mountains and sky and a natural infinity pool. Nothing could beat that! This cozy area could be an ideal lunch or merienda spot for families and friends. I like Hindang Falls for all it’s simplicity. It may not be as domineering as Ma. Cristina Falls,charming as Tinago Falls or as playful as Mimbalot Falls — there’s something to it that just hits the comfort zone. We were glad to have ended the Hindang Adventure at Hindang Falls. The day was long but the falls seemed to have took away the tiredness for the nature hike. It was one visit that was graceful in closing this adventure. + Don’t forget to bring your sunblock, and swimsuits! + Take a dip. And if you can, swim across to the water drop of the falls if your a good swimmer. I haven’t tested it that far, I don’t know how deep the water is at that close to the falls. —> TELL ME HOW IT WENT should you’ve tried it! + Bring your camera/s, with it’s waterproof case/s if you must.